Techniques for keeping your diapers in the best condition. My husband and I are the proud parents of 2 children: Noah, who will be 3, and Gianna who we welcomed in March. We started cloth diapering Noah at 3 months and have never looked back. 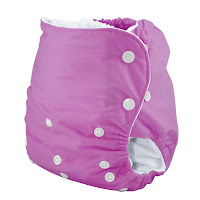 We regularly use pocket diapers and have also used prefolds with covers. Looking at our pocket diapers, which we used for Noah, and now Gianna, you would hardly know that they have been used for multiple children. We use a few different techniques to keep our diapers in the best condition. First, and probably most important, we hang our covers and pocket diapers to dry. The dryer is so hard on the Velcro and it really only takes a few hours before they are dry and ready to use, plus it uses absolutely no energy at all. What could be better for the environment? Second, we discovered early with our son that disposable liners work great. This not only makes it easy to clean out soiled diapers, but it also keeps the stains from setting in to the fabric. Lastly, if there ever are any stains that do set in, we take advantage of the beautiful sunny days, and sun our diapers, or dry them in the sun, to remove any stains that may have set in. You’ve gotta love Mother Nature as a bleaching agent for diapers! Just a little bit of time in the sun can make all the difference in the appearance of a diaper. Our diapers are still in excellent condition and we hope to keep them this way for any future children we are lucky to be blessed with!